Bronchitis is defined as an inflammation of the lining of the bronchial tubes. The bronchial tubes are responsible for respiration (carrying oxygen to and from the lungs). Bronchitis can be either acute or chronic.When a person suffers from bronchitis, they often cough up thickened mucus (mostly discolored). Often bronchitis develops from a respiratory infection or the common cold; acute bronchitis is very common. What is more serious is chronic bronchitis. Chronic bronchitis is a constant irritation of the bronchial tubes, which is mostly caused by smoking. Acute bronchitis often clears up in a few days and does not have lasting effects, albeit a persistent cough may need special attention. If you continue to have bouts of bronchitis you should contact your doctor as it could be chronic bronchitis and this requires medical attention. If you have a cough that is persistent and severe that interrupts sleep, daily activities, or leads to persistent chest pain you should make an appointment to see your health care provider. This could signal that you are damaging the sensitive air sacks in your lungs. If you have very difficult time breathing, it could be more than bronchitis. It could turn out to be asthma, tuberculosis, heart disease, a serious allergic reaction, emphysema, or possibly cancer. If your symptoms continue for more than a week, your mucus becomes thicker, increases in volume, or turns bloody, contact your doctor right away. If you have chronic lung or heart problems or HIV/AIDS, acute bronchitis can make you vulnerable to more serious diseases such as pneumonia. Normally, medical tests for bronchitis are not required in the case of acute bronchitis; your medical professional can usually diagnose this condition through your description of symptoms and a physical examination. Your healthcare provider will listen to your lungs with a stethoscope for a rattling sound in your upper lungs; this is a typical sound for bronchitis. If chronic bronchitis is suspected your doctor will likely require a pulmonary test; checking for lung function, a blood oxygen test (a sensor is clipped to your finger and it is non-invasive), and an x-ray of your chest to check on the extent of lung damage. For acute bronchitis, treatment is often simple. You need lots of rest, avoid smoke and fumes, and drink lots of fluids. It is possible that your doctor may also prescribe a bronchodilator inhaler or even prescription cough syrup. Chronic bronchitis may require stronger options such as an oral steroid for reduction of inflammation as well as providing you with supplemental oxygen. Bronchitis, either acute or chronic is not often treated with antibiotics. This is because bronchitis is a virus and the use of antibiotics will not be effective. In most cases of bronchitis you should treat it as a cold; drink lots of fluids and use pain relievers such as aspirin or acetaminophen. If your cough is so severe that it interrupts sleep or becomes painful for more than two weeks you may need a cough suppressant. If you suffer from chronic bronchitis you should get a flu vaccination as your lungs are more susceptible to infections, unless directed by your doctor otherwise. It is also advised to get your pneumonia vaccination; a single dose will help protect you from the common type of bacterial pneumonia until 65. After 65 you may need a booster for this protection or you may need one sooner depending on your medical history as well. This root is well known for its anti-inflammatory and immune-boosting properties. 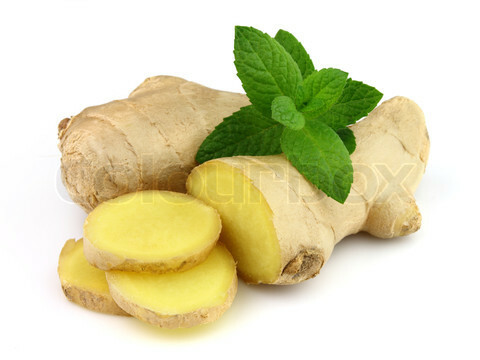 Ginger is often used for treating colds and may also assist with a treatment for bronchitis. Make a ginger tea. Use ½ tsp. of ginger, ½ tsp. clove, and ½ tsp. cinnamon in a cup of hot water, stir well and enjoy. Use this for 3 or more days to provide relief. An alternative tea would be to use 1 tsp of ginger powder and 1 tsp black pepper. Allow to steep in hot water for a few minutes, add honey and drink twice a day. You may also choose to 1 tsp of ginger powder, 1 tsp clove, and 1 tsp black pepper. Use these three times per day with honey or milk. 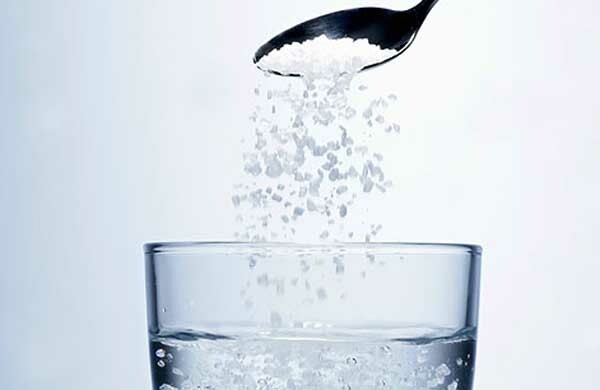 Using a salt water gargle several times a day will help soothe the inflammation in the throat as well as cutting through some of the mucus that causes irritation of the throat. Use one teaspoon of salt with a warm glass of water. Make sure not to use too much salt as it may because a burning in the throat and too little salt will have no effect. Use this as often as you need. 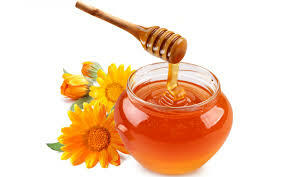 Honey is a natural antiviral and antibacterial and immune boosting choice. It also soothes the throat. Add one teaspoon to your tea for relief. Adding honey to warm lemon water will treat both congestion and inflammation.